The sound of her phone woke Beryl up. She answered it drowsily. "Hello?" "Hello, Beryl. 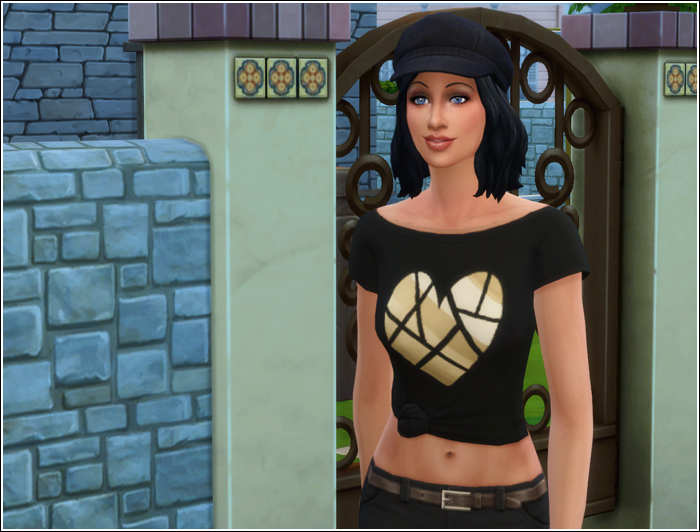 This is Deidre Goth. You were supposed to pick up your dress in our salon yesterday. Is everything okay?" Shoot! The dress! The wedding is in two days already! Beryl realized with horror. "Yes, everything is fine. Something came up yesterday and I forgot." "Are you sure?" Deidre sounded genuinely worried. Of course she is. What bride forgets to pick up her dress? "I'll drop by for the dress in an hour. Don't worry about me. Everything is perfect." "You look stunning as always, my dear," Deidre said when Beryl arrived. 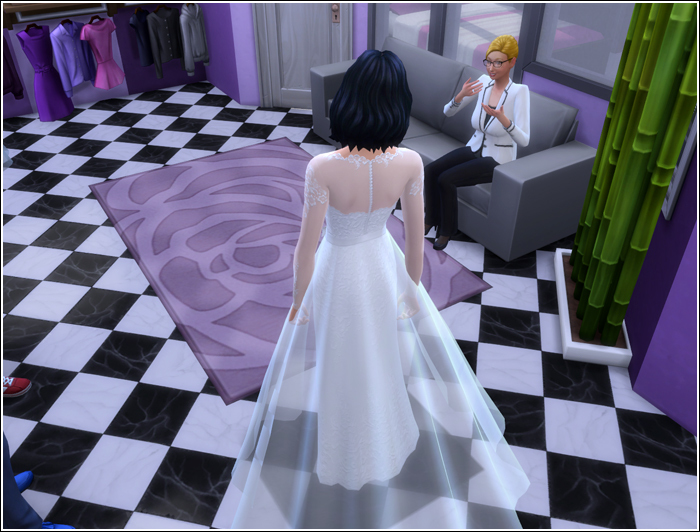 Not very long ago the salon owner told Beryl that she had become for Newcrest fashion scene what her ancestor Bella used to be for Willow Creek's. Beryl felt strangely moved by this statement. Being compared to famous Bella Goth! Who would have thought? When Beryl came to Deidre's beauty salon for the first dress try-out the two women became instant friends. Deidre herself was a single mother. She was raising an adopted girl named Kori. And coming from a family with a long history she understood Beryl like no one else. Both of them knew very well that the legacy wasn't something you could throw overboard easily. Family name was something to be proud of, people recognized it and respected it. The legacy had to continue. Beryl started to confide in her, but she couldn't tell her everything. Not about Tony. Deidre probably knew as much as everyone else about Chris's father, but they never spoke of it. "The dress is ready. Although I'm starting to worry if it's still going to fit perfectly. You look even thinner than when we took your measurements for the adjustments. I know every bride is trying to lose few pounds to look her best on her wedding day, but you really didn't need to. I hope you're not starving yourself, my dear." "Oh, no, I'm not. Must be the stress from all the preparations. Sending invitations to all the right people, pick the right cake, arrange for Ronan's house to be sold..."
"So he has finally moved in?" "Not yet. We decided it would be best for us and the kids that he moves in right after the wedding, when we are husband and wife." ​Deidre looked as if she found it a little strange, but didn't say anything. ​"Well, here's your dress. Wanna try it on one more time?" Beryl almost refused. But that would be weird, wouldn't it? 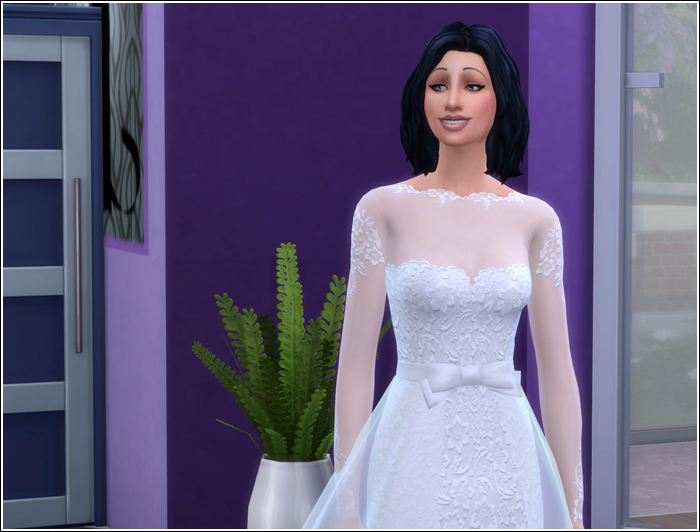 Everyone expected her to be all excited about everything that was related to the upcoming wedding, especially the dress. When Beryl put the dress on and saw herself in the mirror, she almost started crying. In her recurring dream she wore this dress when she was marrying Tony. No, you must be strong, Beryl. You can keep dreaming about Tony, but you must live the real life with Ronan. For Chris and Kellie and for the young people of Newcrest who have come to live here. You must continue what your grandfather started. You must continue building this town. She took a deep breath, straightened up and went to show herself to Deidre with a forced smile on her face. "It fits perfectly!" Deidre exclaimed more excited than Beryl felt. "Oh Beryl, look at you. Ronan is a very lucky guy." Is he? Beryl thought grimly. When Beryl returned home, she hung the wedding dress in her room and started cleaning, cooking and baking furiously to drive unwanted thoughts out of her head. However, there's a lot of space for thinking even when one occupies self with dusting the furtniture or vacuuming carpets. Beryl couldn't escape her second thoughts. Is Ronan good for me? Am I good for him? Am I ready to share my life with him? What do I actually know about his past? She had jumped the opportunity when Ronan proposed. She had been unlucky in finding a husband for a long time. Most of the men were intimidated by her status as the legacy heir, some of them were male gold-diggers and some didn't show up for a second date. She didn't want to spend the rest of her days without a partner. Loneliness was a black gaping hole waiting in her future. She didn't want to feel like dying only waiting to leave this world. Her heart was still very much alive. Her body still had needs (now stronger than ever!) She wasn't old yet. Sometimes she felt like a statue enclosed in glass cabinet. Everyone watched her but nobody dared to touch her. Until Ronan. Sadly, she didn't feel complete with him. As if a cogwheel was missing in this large machine of their relationship, a spark that would ignite the true flame. Hadn't she experienced the flame with Tony, she would never mind. (Un)fortunately she did and the more painfully she saw the difference. Nobody could replace Tony, she knew that, but was it too much to ask even for a fraction of what she had experienced with him? Ronan was gallant and kind. He always said and did what was expected, always arrived in time, always brought a little gift for her. It felt like he read a manual how to be a perfect gentleman. He was so perfect that it was driving Beryl mad. Too perfect that it was almost boring. Too perfect to make her feel too imperfect and guilty anytime she compared him to Tony in her mind. She had to find some flaws of his (well, his perfection was a flaw in her eyes, but she could hardly use that in a fight, could she? "You love your ex more than me!" "Because you are too perfect!" No, that wouldn't do.) She had to find some skeletons in his closet, even literally, to humanize him in her eyes. It was time for a little adventure. 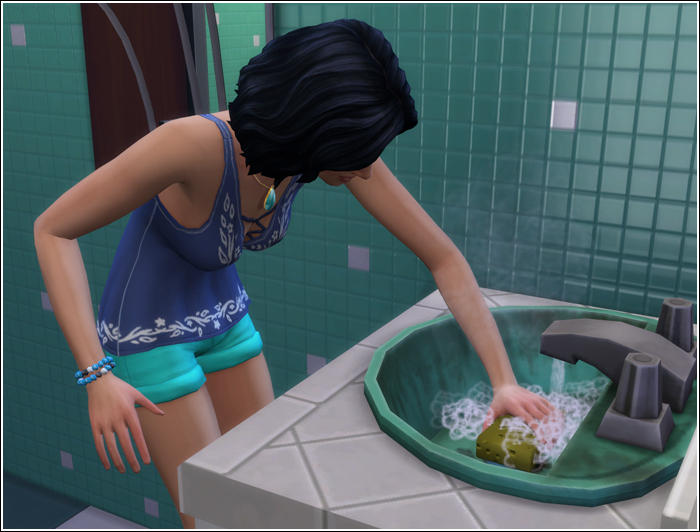 Ronan had a twelve-hour shift in Willow Creek General Hospital today. It was perfect and probably the last opportunity to search his house for some dirty secrets. She didn't have a key to his house. He once offered it to her but she didn't take it saying that she would always call before paying him a visit anyway. Now she regreted it. She would have to get inside the harder way. What does one wear when one plans the good old breaking & entering? she thought while she was standing in front of her wardrobe. She smiled recalling her disguise when she and Tony went to rescue her little brother. What would Tony wear? Black. Definitely black. ​One thing could be said about Beryl, even when she was going to do something illegal, she would make sure to look her best while doing it.